FOR IMMEDIATE RELEASE – December 13, 2018 – Ideal for those who have ever dreamed of living on Kauai, the Local Collection features properties in neighborhoods with eclectic personalities. FOR IMMEDIATE RELEASE – November 21, 2017 – Cyber Monday promotion features many of the finest Kauai vacation rentals from oceanfront homes to condos at popular Kauai resorts. FOR IMMEDIATE RELEASE – November 16, 2017 – This latest addition from The Parrish Collection Kauai expands its luxe Kauai vacation rentals at an iconic Poipu Beach resort. FOR IMMEDIATE RELEASE – September 13, 2017 – New Kukuiula Makai Cottage 36 makes its spectacular debut at Poipu with tropical glamour and pool. FOR IMMEDIATE RELEASE – July 27, 2017 – Nanea makes a bold statement with its oceanfront rooms and spectacular location. Save $500 nightly through December 15. FOR IMMEDIATE RELEASE – June 29, 2017 – These latest Parrish Kauai vacation rentals offer couples or small groups island sophistication for a unique getaway. FOR IMMEDIATE RELEASE – April 4, 2017 – Kauai vacation rentals in the Promo Collection will be updated regularly and offer the most up-to-date savings from Parrish Kauai. FOR IMMEDIATE RELEASE – January 5, 2017 – Parrish Kauai announces their new custom Tiki mug. Now available for a limited time online and complimentary to Elite Collection guests. FOR IMMEDIATE RELEASE – November 22, 2016 – Save up to 40% on Cyber Monday with our annual one-day event. Choose from Parrish Kauai vacation rentals island wide. FOR IMMEDIATE RELEASE – October 26, 2016 – A private swimming pool, elegant air-conditioned interior and exclusive amenities await you at our newest Poipu rental in the Elite Collection. FOR IMMEDIATE RELEASE – September 6, 2016 – Receive complimentary stays on every second, third or fifth night now through December 17. FOR IMMEDIATE RELEASE – June 16, 2016 – Save 30% on select Kauai vacation rentals. 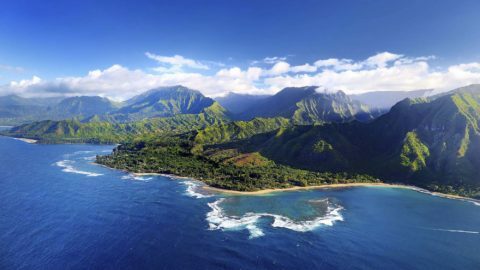 Green Flash deals include discounts on Kauai vacation rentals, airfare and Kauai activities.